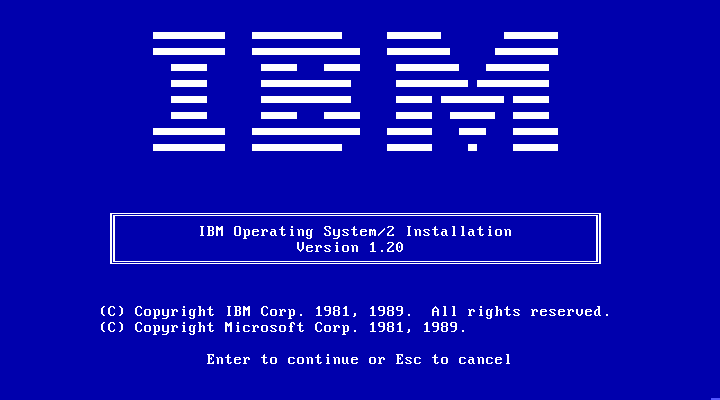 After taking a look at OS/2 1.1, here is really quick look at IBM OS/2 1.2. 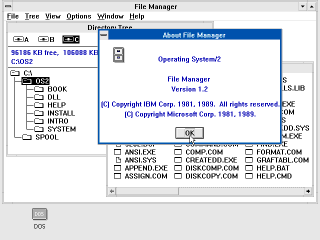 Over all the user interface of 1.2 is not much different from 1.1 or 1.3, but it is useful to note when some things were first introduced. 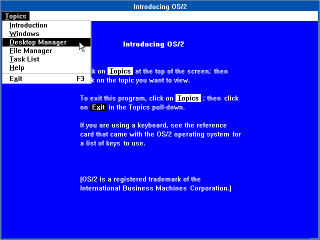 The OS/2 install screen. This version is branded by IBM. 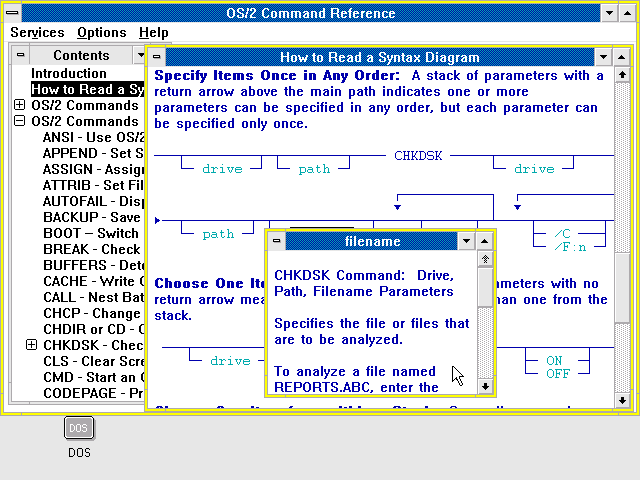 Bizarrely, OS/2 1.1 supports PS/2 mice but 1.2 does not. 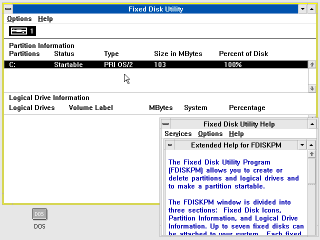 How did they manage to do that? Even more bizarrely, there were various people posting that it was possible to use the OS/2 1.3 drivers, but the only article I could find that fully described how to change an OS/2 1.x mouse driver was a Microsoft KB article on Microsoft's site! 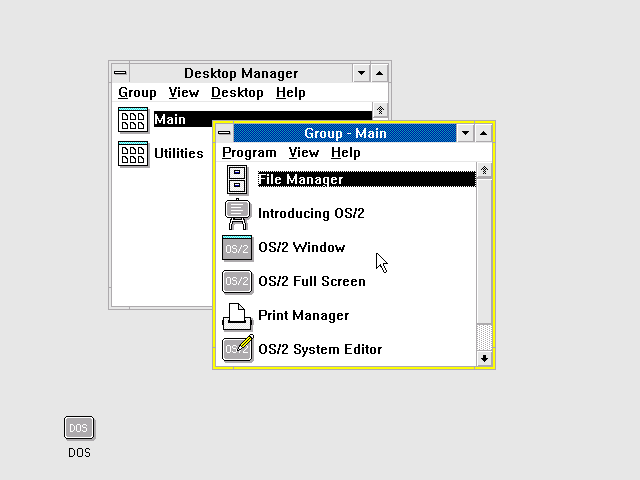 As of 1.2, the "Desktop Manager" uses a separate window for each program group, and each group or item has an icon. 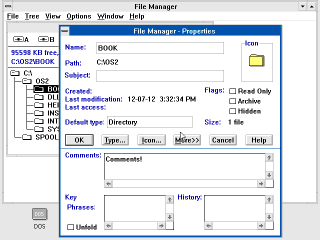 The OS/2 file manager is now called "File Manager". 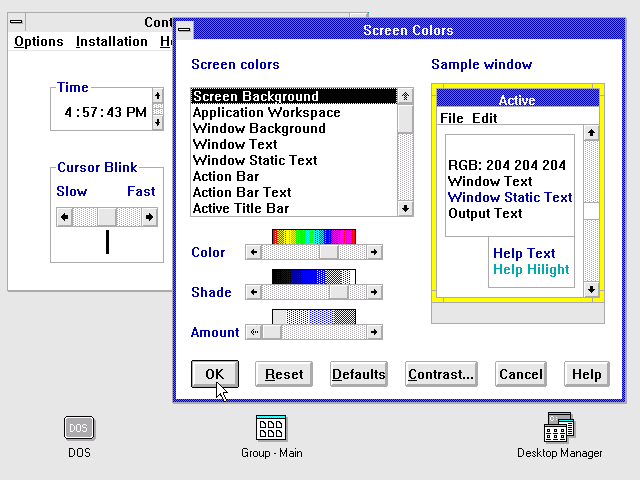 Windowing controls and buttons now have a 3-d beveled appearance. Extended file attributes make their first appearance. 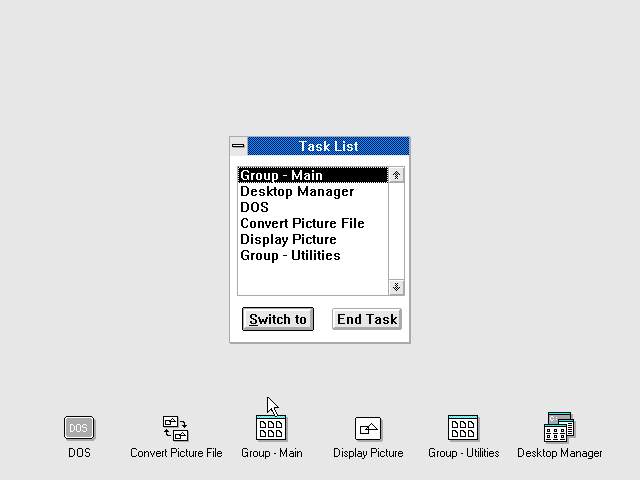 The Task Manager no longer has an icon on the desktop, and only appears if you press Ctrl+Esc. 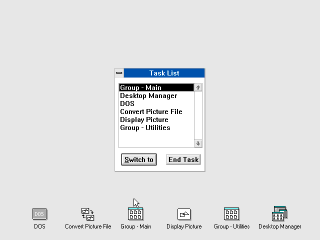 The appearance is simplified and it is now named "Task List". 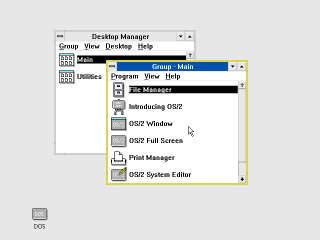 A "DOS" icon is still permanently located on the desktop. Same Windows 2.x style control panel, but now it uses an "OK" button. 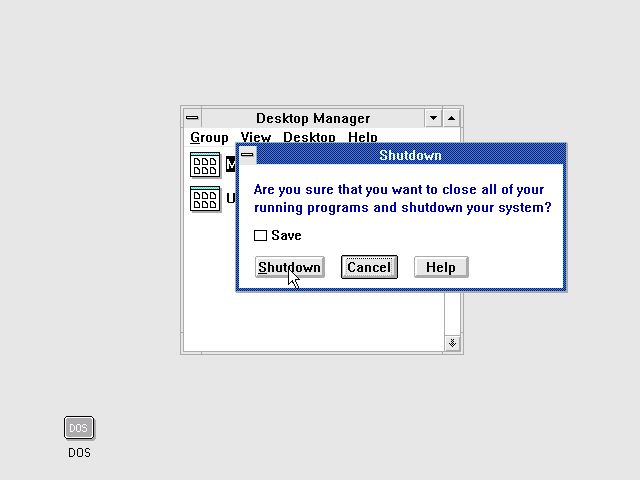 The help system is vastly improved. 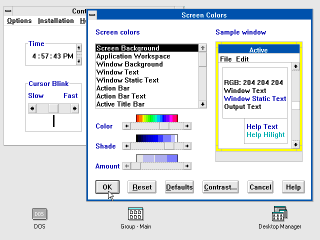 It includes hyperlinks and even popup windows. 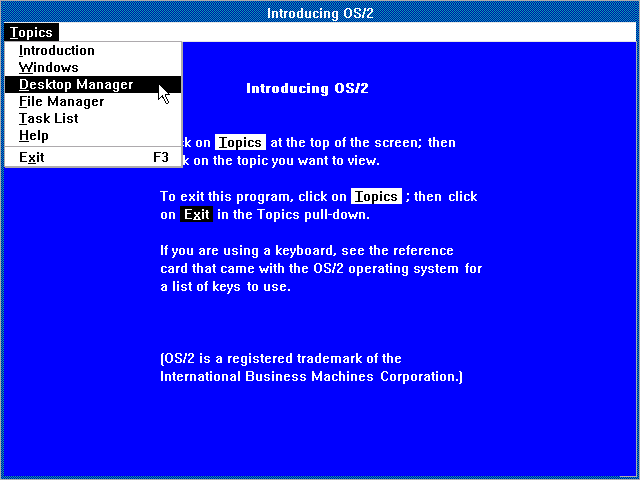 And OS/2 1.2 even includes a tutorial. 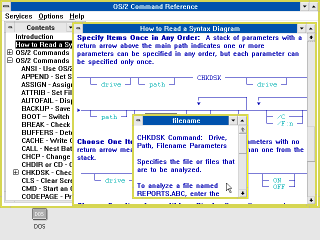 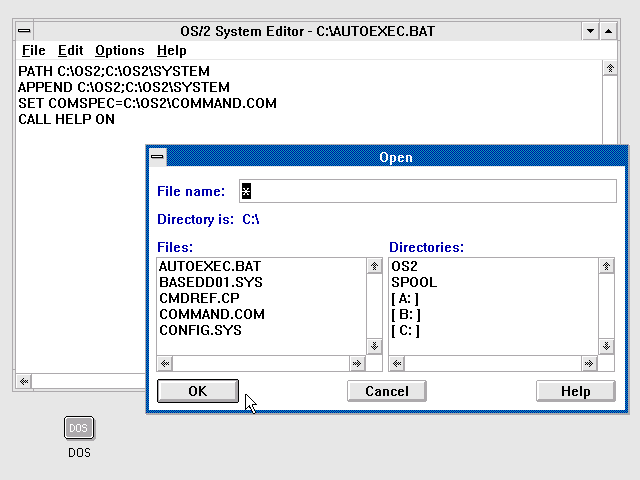 The "OS/2 System Editor" is a text editor almost exactly like Notepad. 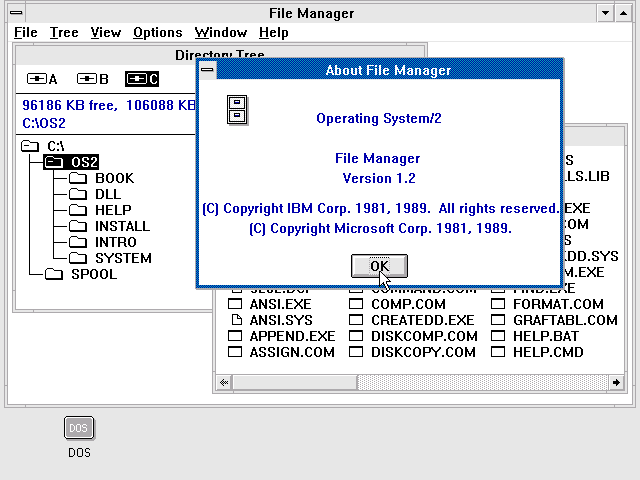 OS/2 1.1 did not have this or any other PM applications. 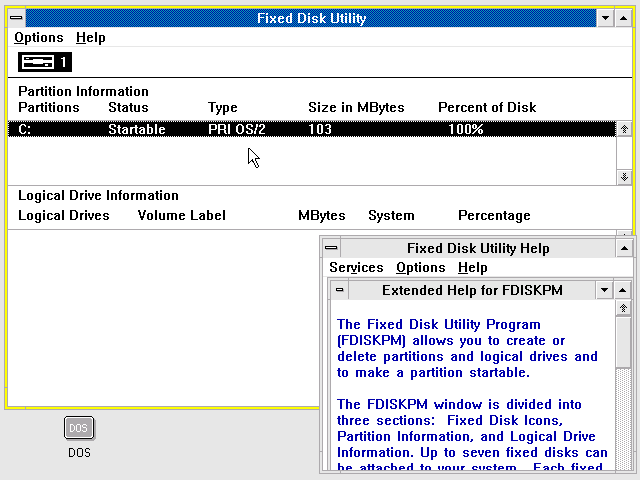 Among several new Presentation Manager applications, OS/2 1.2 includes a GUI based disk partition utility. 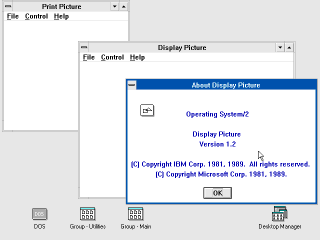 There are also a couple of picture display and printing tools, but they only read some "*.MET" file format. No samples of this file type are included.